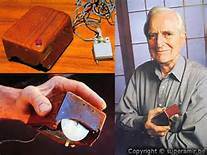 In 1968 at a computer conference in San Francisco, Dougla Engelbart took the tech world by storm by demonstrating his invention the Computer mouse, a rudimentary device with two perpendicular wheels in a wooden box that could interact with the computer using a GUI. 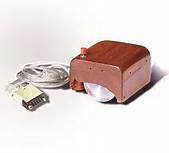 He also showcased the multiple windows, shared screen teleconferencing, word processing, object addressing and bootstrapping, hypertexting and a collaborative real time editor. 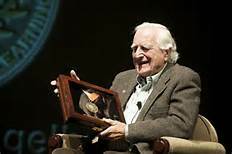 Engelbart, who died this week in California, U.S. at the age of 88.